Basic Facilities ... good position for exploring. Facilities in hotel very basic ie hand towels only. room very small had to leave suitcases on balcony. very noisy with guests opening & closing doors until late Vending machine in corridor which didn`t help. The Hotel Arco Romana is situated in Viale Sabotino 16, in the historic center of Milan, 50 meters from the metro Porta Romana stop (line mm3 yellow). The hotel Arco Romana is located in center to Milan near the university Bocconi and the theater La Scala, the nocturnal life of Navigli. The familiar atmosphere and its big terrace with an amazing view on Milan will give back your pleasant and unforgettable stay... 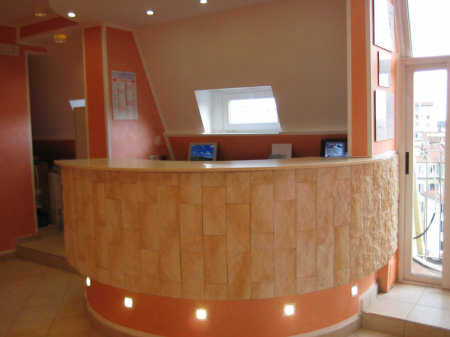 The reception is open 24 hours and the young staff here guarantees a safe and pleasurable stay for all our guests. Our Hotel got renovated completely at March 2009. 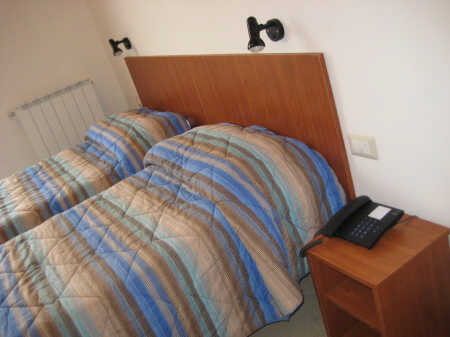 All rooms are provided with TV set, telephone, Wifi and air condition . The hotel is surrounded by many restaurants, therefore it is easy to get a delicious lunch or dinner and they are all reasonably priced. There is a self-service laundry, an Internet point, a local and long distance call-center very near by as well as various wine bars, discos and cinemas. The area is also neighbored by Milan's main shopping districts, Corso Porta Romana, Corso Italia and Via Montenapoleone. 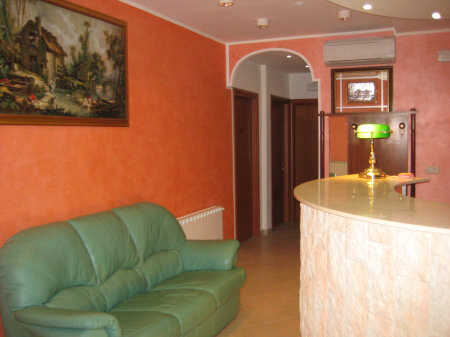 The Hotel Arco Romana is excellently located for moving around the city: very close to the Cathedral and well linked to all the main places of artistic and cultural interest in the city. YOU MUST CONTACT US 48 HOURS IN ADVANCE TO CANCEL YOUR RESERVATION OR WE WILL CHARGE YOUR FIRST NIGHT IMMEDIATELY. Credit card accepted: all except American Express. 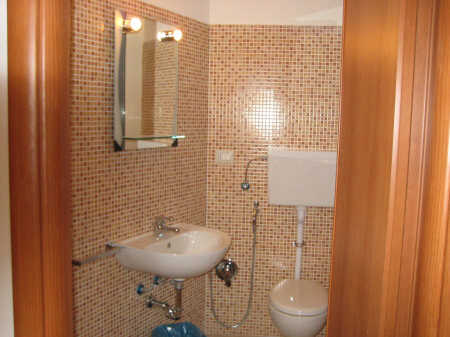 We have some room with bath and some with shared bath but with shower. In the room are included the towels, the sheets, the soap. 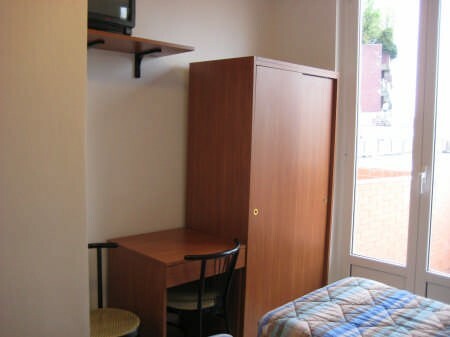 All the rooms have wifi, air condition and direct phone. The hotel is surrounded by many restaurants, therefore it is easy to get a delicious lunch or dinner and they are all reasonably priced. There is a self-service laundry, an internet point, a local and long distance call-centre very near by as well as various wine bars and cinemas. The area is also neighboured by Milan's main shopping districts, Porta Romana and Via Montenapoleone. The adjacent transport services include trams, buses and the city's fast subway allowing easy access throughout the city of Milan. The Central Station of Milan is 10 minutes by subway from the hotel and the exhibition of Milan and San Siro Stadium are also only minutes away by subway. From Malpensa or Bergamo Airport, you can take the bus until the central station of milan ( about 50 minutes) then you can take the yelow subway until the stop of Porta Romana but from the Airport of Linate you can take bus 73 until The stop of San Babila then the Subway until The stop of Porta Romana. the yellow subway mm3, tram 9, tram 29, tram 30, tram 24, tram 16, bus 77 and bus 62.